Preheat oven to 350°. Toast walnuts on a rimmed baking sheet, tossing occasionally, until golden brown, 8–10 minutes. Let cool. Add wine, bring to a simmer, and cook until pan is almost dry, about 3 minutes. Add 2 cups very hot water; season with salt and pepper. Bring to a simmer, cover, and bake in oven until liquid is mostly absorbed but the rice is still starchy in the center, 15–18 minutes (it should be undercooked). Meanwhile, pulse garlic and half of toasted walnuts in a food processor until very finely ground. Add parsley, chives, half of kale, remaining 2 Tbsp. oil, and ¼ cup cold water; process until smooth; season pesto with salt and pepper. Set saucepan over medium heat. Add ¾ cup very hot water and cook rice, stirring constantly, until it is tender but still has some bite and sauce is creamy, about 3 minutes. 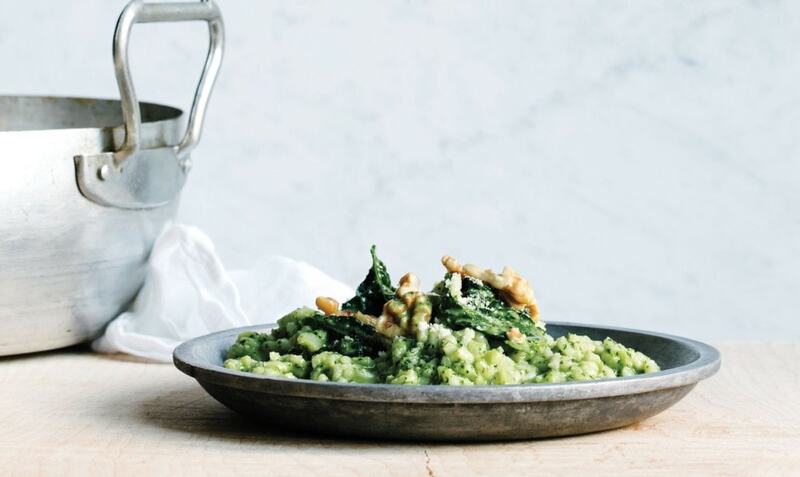 Stir in pesto, butter, three-quarters of Parmesan, and remaining kale. Adjust consistency with water, if needed; season with salt and pepper. Serve topped with remaining walnuts and cheese. 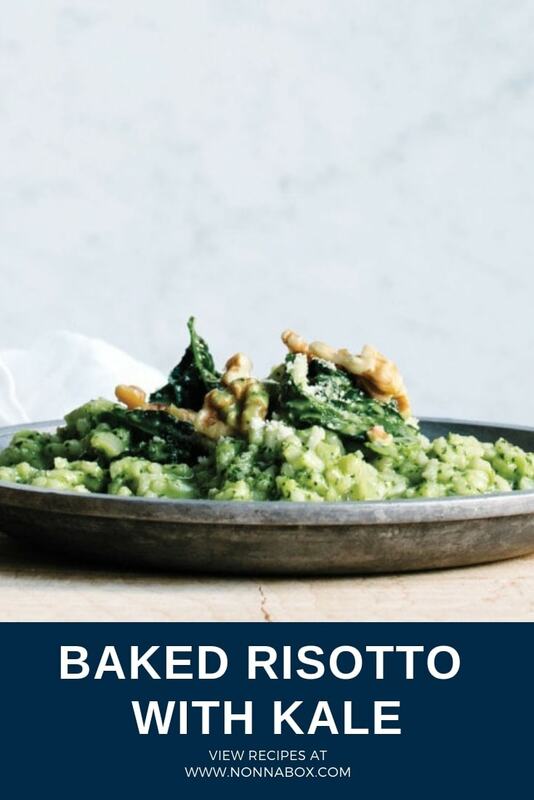 This is a healthier alternative to cakes… I love how smooth risotto with kale when baked. It tastes yummy!